EU leaders have been slow to congratulate Syriza, which won a significant victory in Greece's national elections on Sunday (25 January). With 99.8 percent of the votes counted, the anti-austerity party Syriza has received 36.34 percent, giving it an almost nine point lead over centre-right New Democracy of outgoing prime minister Antonis Samaras, who on Sunday conceded defeat. 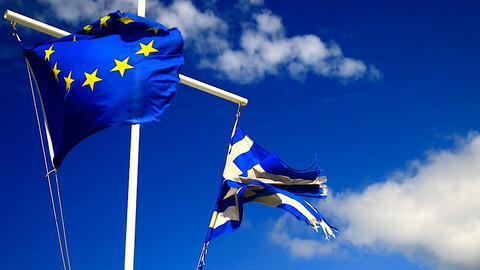 “The Greek people have spoken and I respect their decision”, Samaras said. 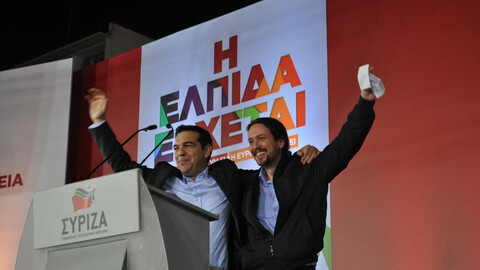 Syriza secured 149 seats in Greece's 300 seat-parliament – just two members short of an outright majority. New Democracy is set for 76 seats. 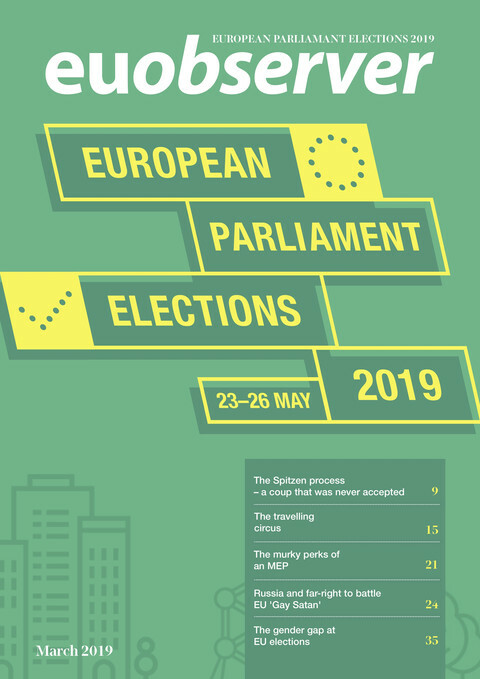 Far-right party Golden Dawn is expected to lose one seat and end up at 17 seats, while pro-European party To Potami (The River), which was founded only last year, won around the same number of votes and is also expected to secure 17 seats. Former prime minister George Papandreou failed to win any seats with his new party Kinima, receiving 2.46 percent of the vote. Although the overall result - if not the details - has been clear since Sunday, many EU leaders had yet to issue a statement on Monday morning. French president Francois Hollande was one of the few government leaders to publicly congratulate Tsipras on Sunday, saying he hoped “to pursue the close cooperation between our two countries in service of growth and the stability of the euro zone, in a spirit of progress, solidarity and responsibility that is at the heart of the European values we share”, reports Reuters. UK prime minister David Cameron, for his part, wrote a downbeat social media message. 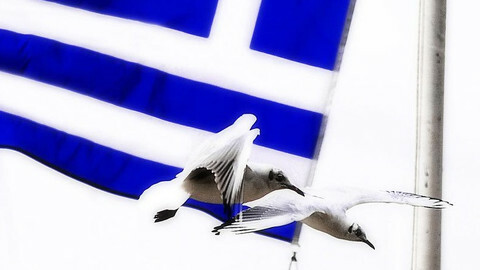 “The Greek election will increase economic uncertainty across Europe. That's why the UK must stick to our plan, delivering security at home”, wrote Cameron. Finnish leader Alex Stubb simply said that democratic election results "must be respected". 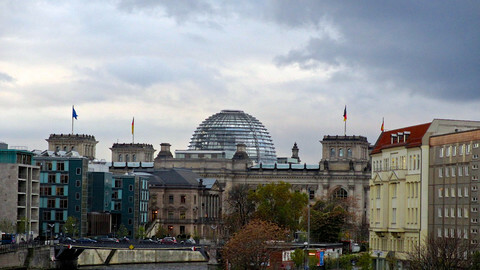 The German chancellory was quiet, but Bundesbank president Jens Weidmann in an interview with ARD reacted with a warning. “I believe it's also in the interest of the Greek government to do what is necessary to tackle the structural problems there”, said the German central banker. “I hope the new government won't call into question what is expected and what has already been achieved”, Weidmann added. EU president Donald Tusk, whose office is normally quick to congratulate the winner of a national election in one of the EU's member states, had not publicly reacted by Monday morning, nor had EU commission president Jean-Claude Juncker. However, according to Ekathimerini, European parliament president Martin Schulz, a social-democrat, congratulated Tsipras in a personal message. Tsipras received a supportive message from Italian MEP Gianni Pittella, leader of the centre-left socialist group. “The Greek people have clearly decided to call a halt to austerity and the diktats of the troika”, Pittella wrote, adding that a renegotiation of Greek debt “should no longer be regarded as a taboo”. In Brussels, Syriza's natural partners in the parliament are not the centre-left socialist group, but the far-left GUE/NGL. Its president, Gabi Zimmer, congratulated Syriza for its “great result”. The Syriza victory also had its impact on the financial markets in Asia. On Monday morning local time, the euro dropped 0.9 percent against the dollar – its lowest level since 2003 – but recovered somewhat, reports the New York Times. One euro on Monday morning was worth just $1.12. 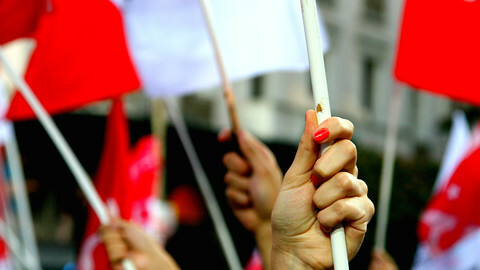 Greece turns left: What next? 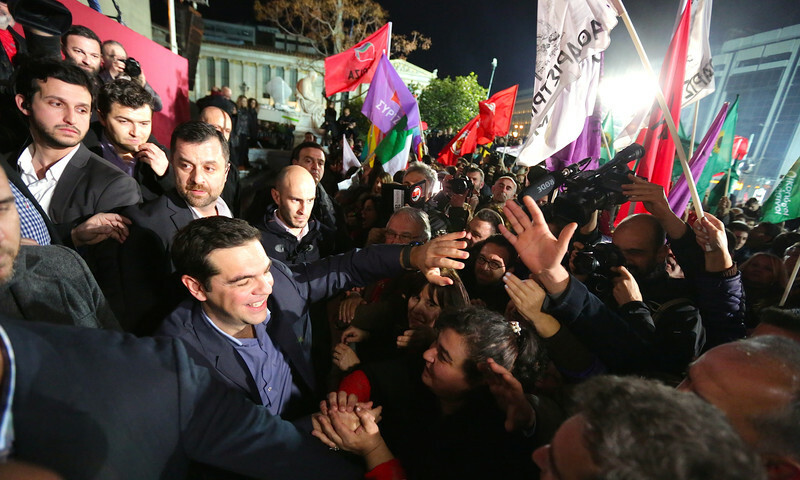 Greece's anti-austerity Syriza party is on course to win Sunday's parliamentary elections. The country "is turning a page," said party leader Alexis Tsipras. 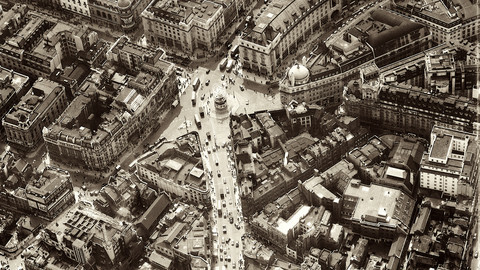 The dreaded debt debate has returned to the centre of European politics. EU finance chiefs will this week digest Syriza’s victory in Greece, while top diplomats attend an emergency meeting on Ukraine. “First we take Athens and then we take Madrid” has become a regular slogan amongst Syriza supporters. Other political upstarts in the EU will be watching Syriza carefully. Any Syriza successes will become their potential successes. Any failures, their potential failures.